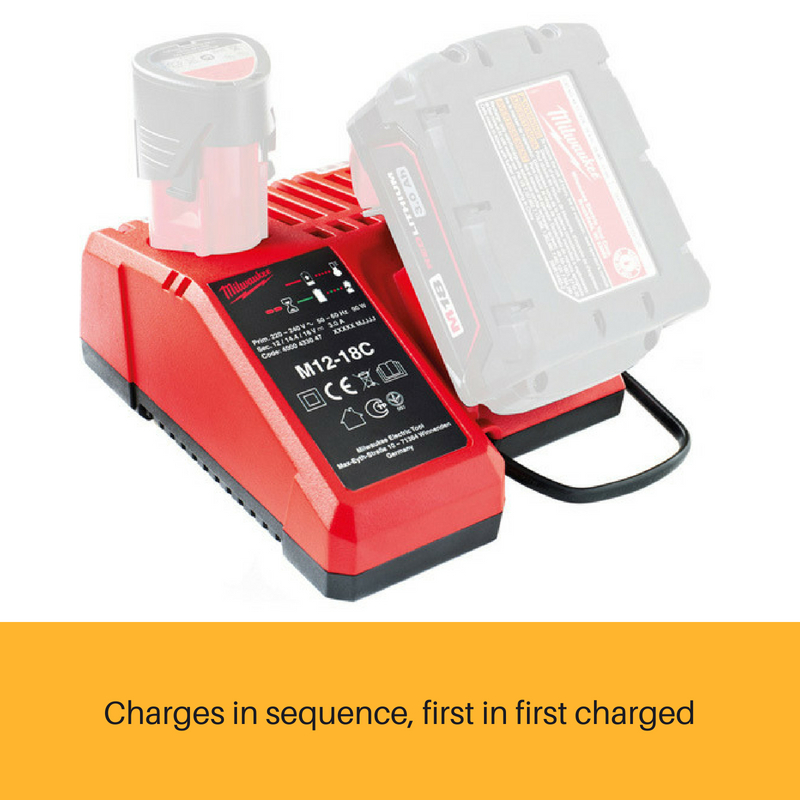 Always be ready for your next job with this cross-system charger. 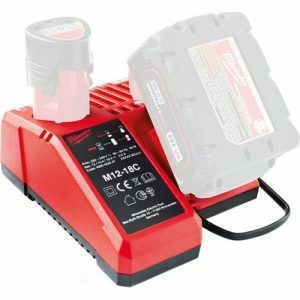 The M18™ & M12™ Multi-Voltage Charger (M12-18C) accepts all M18™ and M12™ batteries, so you’ll always be prepared and productive, especially on jobs that require a mix of M18™ and M12™ Milwaukee cordless power tools. 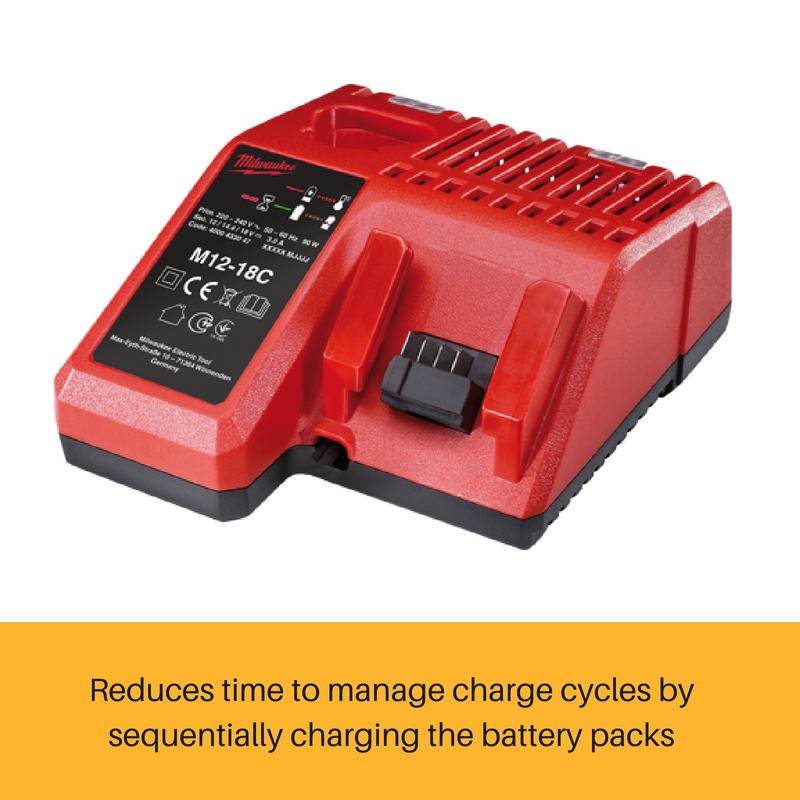 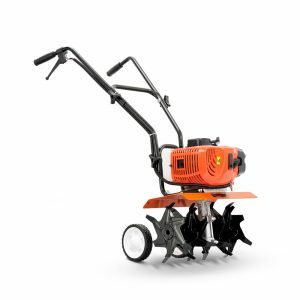 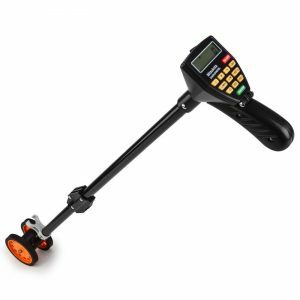 This versatile unit charges batteries sequentially, reducing your time to manage charge cycles. 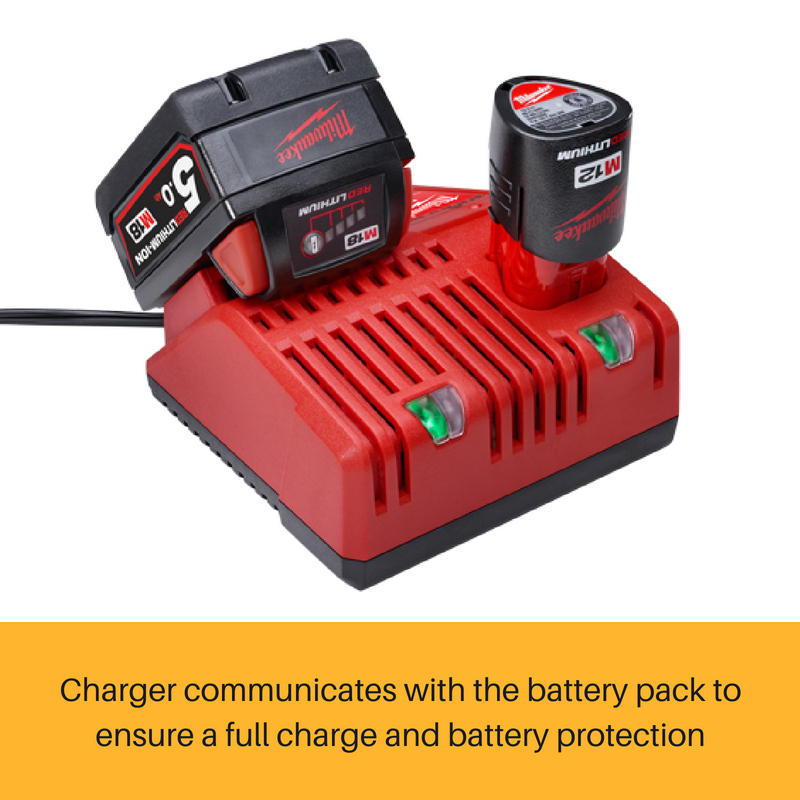 The charger communicates directly with the battery pack to monitor cell voltage, temperature and charge status to ensure a full charge. 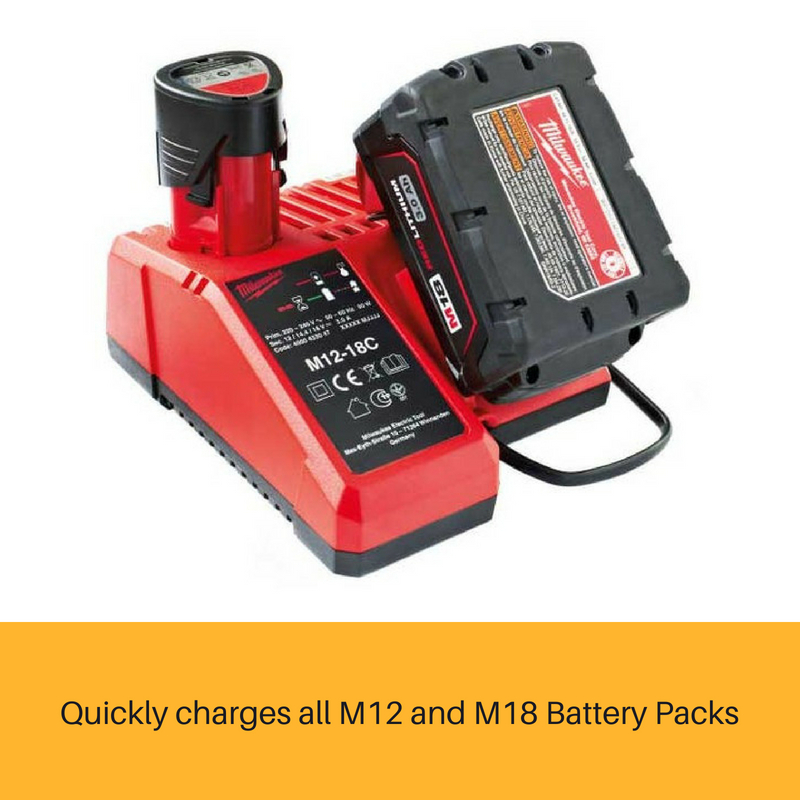 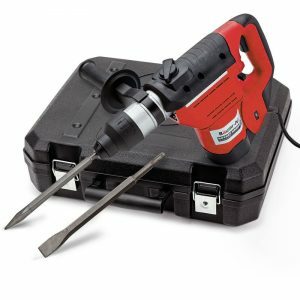 Power up your Milwaukee compact batteries in 30 minutes and extended capacity batteries in 60 minutes, without the need for extra chargers on the jobsite.